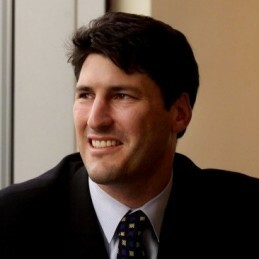 John Eales is the most successful captain of the Australian rugby team and a highly respected business leader. He debuted in 1991 and captained the Wallabies from 1996 until his retirement in 2001. He was part of two World Cup winning sides (captaining the second victory), three Bledisloe Cups, and two Tri-Nations victories. He captained the Wallabies in their inaugural series win against the British and Irish Lions and played 112 games for the Queensland Reds. John has been the recipient of numerous awards and honours. He was named the 2002 Queenslander of the Year, inducted into the Australian Institute of Sport’s Best of the Best in 2011, awarded the 2000 Australian Sports Medal and in 1999 received the Order of Australia (AM) for services to rugby and the community. Away from rugby, John is a founder of the Mettle Group, a subsidiary of the Chandler McLeod Group and a Director of International Quarterback. John sits on the board of Australian Rugby Union, GRM International, The Sport Australia Hall of Fame and International Quarterback. John is a consultant to BT Financial Group, Qantas and Salmat, and a regular contributor to the Australian Financial Review and lectures at Notre Dame University in Sydney.